Are you a fan of museum and art? Have you ever dreamed about carrying a piece of antique art painting on your arm to stroll the streets? Well, if that’s the case, your wishes have been answered! Today we are going to talk about the new Louis Vuitton x Jeff Koon collection, titled “Masters”! I’m sure many of you fashion lovers have heard about it, as news about this came out on April 11th. I’ve been seeing it all over social media, but put off on blogging about the topic. But after much debate, I decided to proceed to share with you all in case you missed out on the news! It officially launches April 28th! So you know Louis Vuitton, but do you know Jeff Koon? Jeff Koon is a New York based American contemporary artist, best known for his balloon sculptures and usage of popular references in his art. The collection is inspired by Koons’ “Gazing Ball” series. He reconstructs an iconic piece by placing a metallic reflective ball in front, to give art viewers a brand new perspective to a classic piece of work. So let’s take a sneak-peek at the collection! After taking a look, what do you guys think of it? The collection has 51 pieces, and consists of accessories, bags, scarves, and small leather goods. It features classic pieces like Da Vinci’s Mona Lisa, Titian’s Mars, Venus, and Cupid, Fragonard’s Girl with Dog and more. You can see this collection comes in many classic Louis Vuitton designs, including the Neverfull and Speedy. Prices range from about $600 USD for a keychain and $4000 for a large Neverfull. You can view the collection online here. This seems to be a big project Louis Vuitton has been promoting, as it is shown all over it’s website and social media outlets. It seems that out of the many designers, the recent Louis Vuitton collections have been the most debatable topics of the season. It’s recent collaboration with Supreme caused quite an uproar. Not to mention, they stole the spotlight in the Spring 2017 runway with an iPhone case instead of a bag (read here for more info). Louis Vuitton is definitely not limiting their perspectives, but instead expanding their creative range. It’s definitely a fine line between genius and tacky, but so are many revolutionary ideas. I personally admire the concept and find Koon’s logo adorable against the classic Louis Vuitton silhouettes. I also really enjoy classical renaissance art. However, will I be adding this to my collection? The short answer is — no. By all means, these are beautiful pieces worthy to a Louis Vuitton pieces collector. How glorious would it look to have a couple of these pieces on display. It would be like your own little art gallery display. But for me, it’s just not practical enough and not my style to strut the streets with. What are your thoughts? I would love to hear comments from you all! I’m not sure what I think of this collaboration. I love that a major artist and a brand I love are coming together in this way but I’m not sure if I would be able to carry the pieces! Looks amazing. Not a bag I’d want to buy, but very very pretty collection! While reading this, I was thinking “I wouldn’t really like walking down the street with one of the LV bags” but like you say it does change from LVs regular bags. But it’s good that Vuitton is stepping out and really trying new things. It’s just too flashy flashy kitch for me! it’s such a different bag collection as to the one’s we all know so well. I actually like to the look of them but wouldn’t wear them personally. Really cool! I love looking at art. I think it is like seeing snippets of the artists personality. Very eclectic style, pretty but functional. I love the melding of classic art and contemporary design. Omg! I have already seen this line, and for me no… I just can’t…it’s too flashy for my taste!!! This is such a great review! These purses are so unique and different. I don’t think I could pull it off though! It’s a piece of art alright! Thanks for dropping by dear! Well these are fantastic! I don’t normally like louis vuitton’s bag style. These artistic ones I could get on board for! I’m glad that it might inspire some interest in good art, but overall I’m not a fan. They remind me of the bags at the mall with movie scenes or pictures of famous people on them. this is an interesting collaboration, but i have mixed feelings. 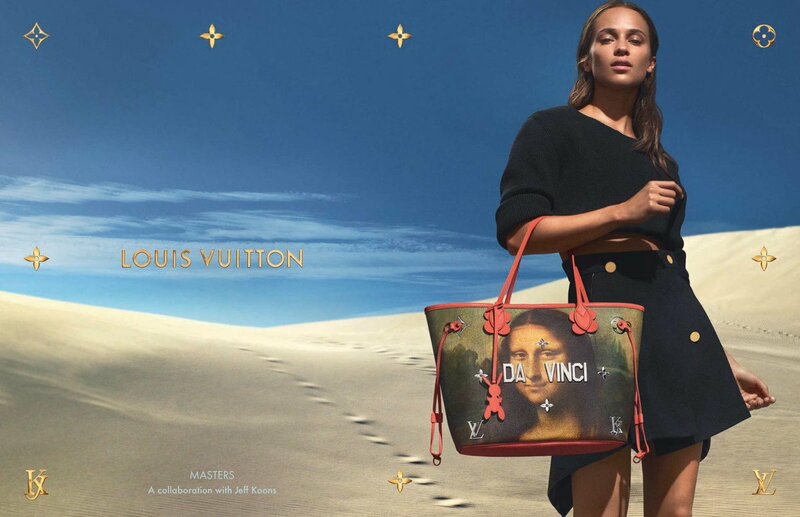 LV is such an iconic luxury brand and and Jeff Koons is a great pop artist, but the images on the bags are repurposed from other artists (da vinci) – I don’t see much Jeff Koons in the final product. Haha. I get what you mean. The Koons in the product is the gazing ball concept and his pop art bunny ! Haha (: thanks for dropping by! I have to say this is quite interesting and I am not sure how I feel about it. These are classic works of art in come cases and while I can see LV having the reputation to do this, I feel like it is almost disrespectful. 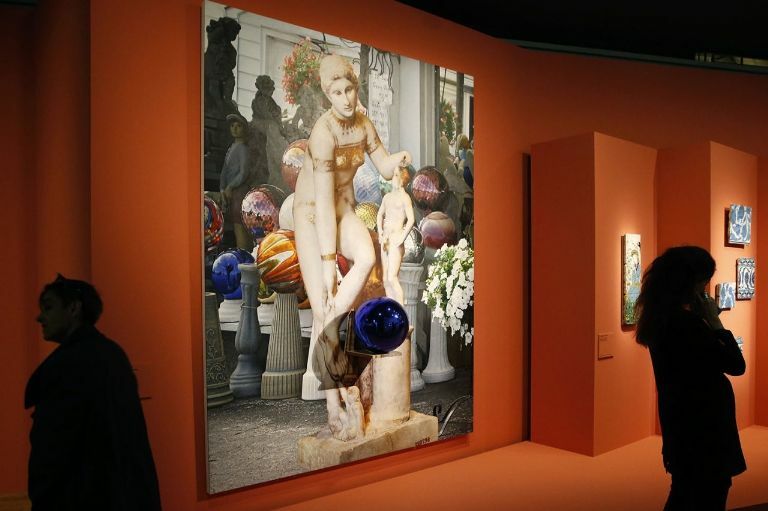 Not to mention that I am not really sure where J. Koons was involved since these paintings aren’t his. Was the whole idea to put them on the bag/keychains his? Also, $600 for a keychain…my heart! Great post and I had no idea this was even a thing. Thanks for sharing! Hi. 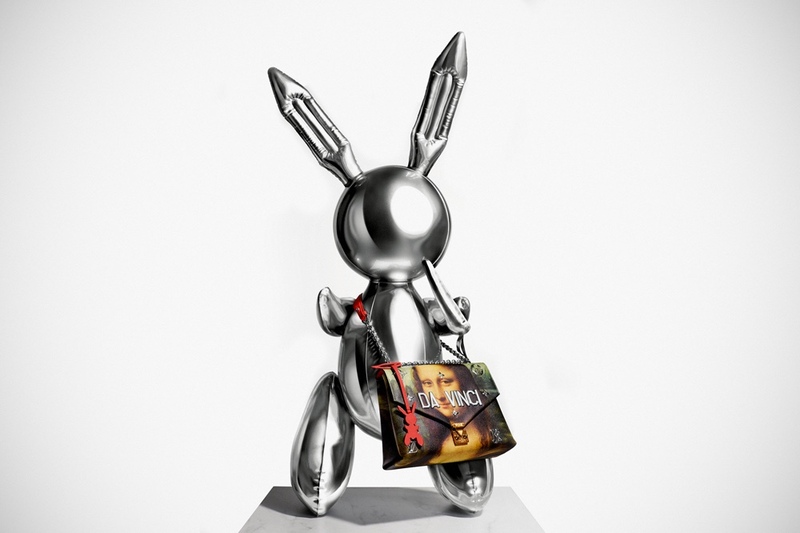 Koon’s is involved because of the metallic plating on the bag that states the artist’s name. Example “da Vinci” it acts like the concept of his original “gazing ball” idea. And yes. There’s Koons in the logo of his pop art bunny on the bags. I totally understand where you’re coming from though. And you’re welcome. I love sharing new things like these. And thanks for dropping by! I’ve certainly heard of it. And while the collaboration is admirable welcomed by many, I have to lean on tacky for this one and pass. Ah yes…combining art and fashion…regarded by many as a match made in heaven. I love the art and I love fashion but as you rightly point out, that doesn’t work for everyone’s taste. As always, beauty is in the eyes of the beholder. Yes. If you ever drop by near and LV check them out on display. You’ll be blown away! This is a fantastic collection. I would love the Davinci bag for summer. It would definitely stand out. So interesting seeing the Mona Lisa on a bag! I’m not much of a fashionista but I think it’s pretty cool seeing art like this on accessories. I think so as well! It’s absolutely gorgeous when you see them displayed inside LV! I wasn’t sure I liked those bags at first. The more I looked at them, the more they grew on me. I love art. These would be fun to carry. Especially when going to the museum. Find your local LV and see them on display! You’ll be blown away! I’m a fan of contemporary arts and those collections really looks good. I hope I can have one for free. Lol. This looks like it turned out to be an awesome collection. I couldn’t afford them but they do look nice. I love these bags! They are such unique pieces that I would LOVE to own! Very interesting! 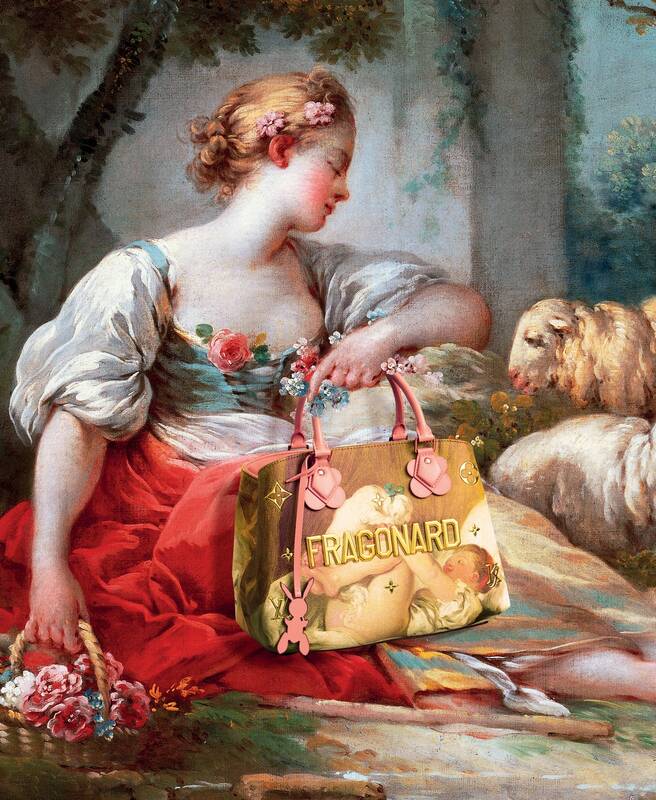 I know another company that had a successful run of classical art and fashion combo designs/collaborations. While it is very cool to see a designer incorporating classic art in their pieces, the results definitely aren’t my style. Cool concept though! Not my wear out style. But yesss gorgeous art piece! These are such unique pieces! I am unsure if I would be able to pull them off, but they are stunning. I’m a little confused and can’t make up my mind about these bags! I like the painting to be a painting and a bag to compliment my dress. The paintings are beautiful but I’d rather hang them than carry them! Ei dear, thanks for keeping in touch and commenting back on my posts too. And for our active engagement and exchanges via Instagram. Hope you can follow me back also via GFC and Bloglovin. 🙂 Keep in touch on the blog! He is changing his style by adding beautiful art ! Definitely great combo !!! I love how they trade in style to make such a great collaboration! How awesome and what a great idea! Those types of things aren’t usually my thing. And I guess everyone has their own style. So I do not begrudge them having a style that they have and it could be those types of bags. I don’t think they are tacky. Wow very unique pieces I would love to see in person. Those bags are interesting! I think you could totally rock it Ophelia! I would love to own one (like if it was given to me) but I can’t justify spending $600 on a key chain or $4000 on a bag – that’s just nuts! My goodness I absolutely LOVE these bags! I need to get myself one! These actually look really cool! Especially the mona Lisa designs! Those bags are definitely a work of art! I am not surprised how now they actually show some famous paintings – Louis Vuitton brand is a modern masterpiece considered the best in the world by most! How clever is that painting with the bag?! It looked just like the painting! oh man that’s really cute. i’m sure my daughter would love one of them. Wow! What an interesting collaboration. I don’t think I’ll be able to ccarry one of those bags, though. I love the Mona Lisa bags. I was named after this painting. My dad is an artist and was inspired by this painting. I would love to have this!